Looking for a special gift for that special police officer in your life? 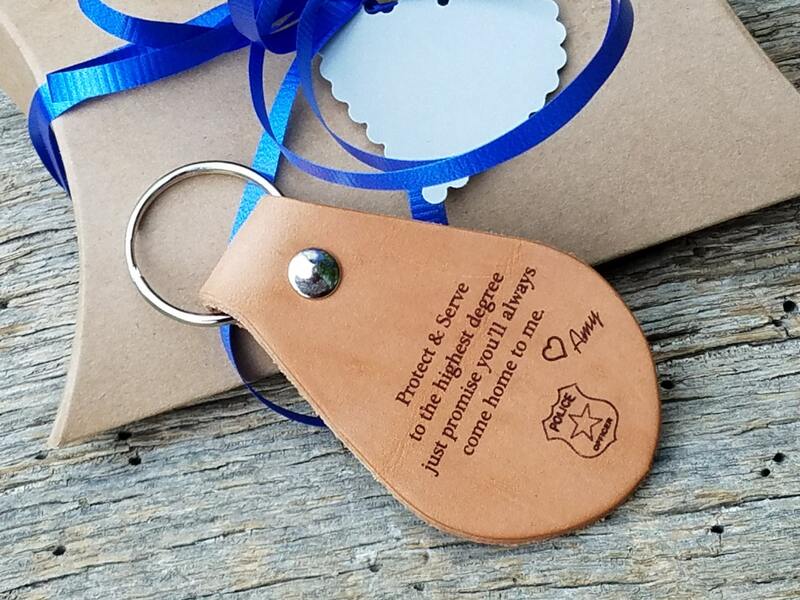 Our beautifully engraved leather keychain is going to be a gift he treasures! This beautiful keychain will make a great gift for other occasions like their birthday, Valentine's Day, Mother's Day, Father's Day, Christmas or just to tell them you're thinking of him/her. This leather keychain can be custom engraved as per your request.